Take this Walking Cat Pin and give it as a gift, wear it on your jacket, hat, tie, shirt, back pack or where ever you think it looks the best, since they look great everywhere every day you can take this wonderful work of art anywhere. Hand Sculpted by American Artists and then Hand Cast in Lead Free Fine Pewter by G.G. Harris, this Walking Cat lapel pin really stands the true test of hand crafted and made in America. The Antiqued Pewter versions are first cast by hand in a detailed process then Antiqued to give a truly wonderful look. The Copper versions are electroplated in copper and then antiqued by hand to show every detail. The gold versions are electroplated in 24K Gold and then hand polished for a beautiful shine. Our Hand Painted items are painted by hand in a truly amazing and unique fashion and then coated in acrylic to ensure a forever shine and knick free wearable portrait Scientific Name: Felis catus Size: .7" X .6"
Made with surprising detail, each Cat pin is perfect for men and women. 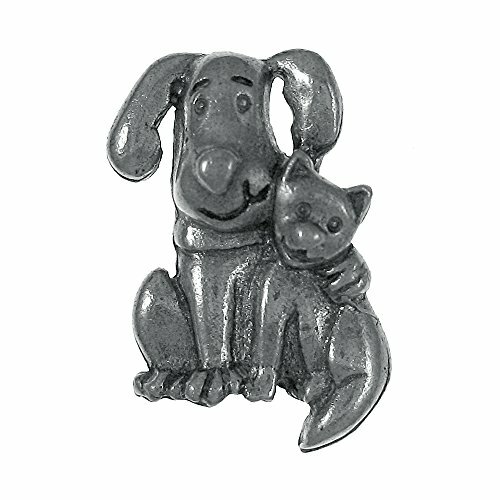 Cast from pewter, a jewelry metal which maintains its antiqued look, and secured with two push-on clasps to prevent rotation, these Cat pins make a great decoration for your jacket, vest, hat, lapel, etc. A great collectible or makes a nice gift for cat enthusiasts. Approximate size on the Cat pin is 1 1/2 x 1 3/8 inches. I thought there should be a cat tooth fairy, so I brought her into existence! 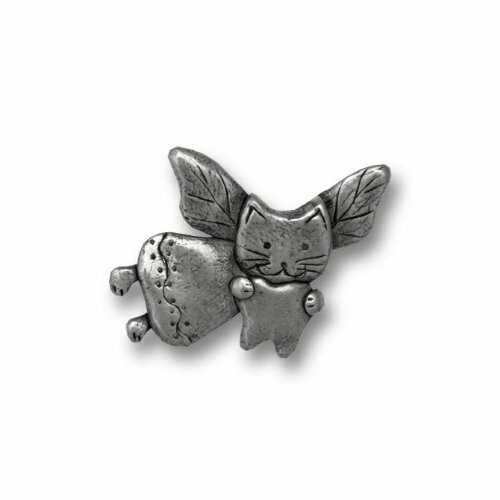 This cute little kitty is flying while holding a tooth. Quite a trick! It measures 3/4" high by 1 1/4" wide. This pewter lapel pin has a tie tack type back, and comes with a military style clutch to keep it securely in place. Enjoy wearing it on a jacket, hat or backpack! Take this Elephant Pin and give it as a gift, wear it on your jacket, hat, tie, shirt, back pack or where ever you think it looks the best, since they look great everywhere every day you can take this wonderful work of art anywhere. Hand Sculpted by American Artists and then Hand Cast in Lead Free Fine Pewter by G.G. 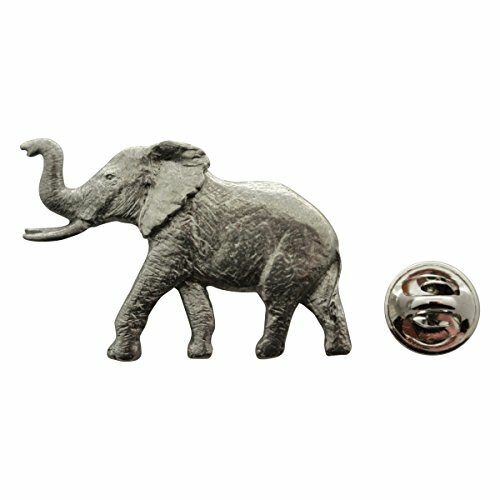 Harris, this Elephant lapel pin really stands the true test of hand crafted and made in America. The Antiqued Pewter versions are first cast by hand in a detailed process then Antiqued to give a truly wonderful look. The Copper versions are electroplated in copper and then antiqued by hand to show every detail. The gold versions are electroplated in 24K Gold and then hand polished for a beautiful shine. Our Hand Painted items are painted by hand in a truly amazing and unique fashion and then coated in acrylic to ensure a forever shine and knick free wearable portrait. 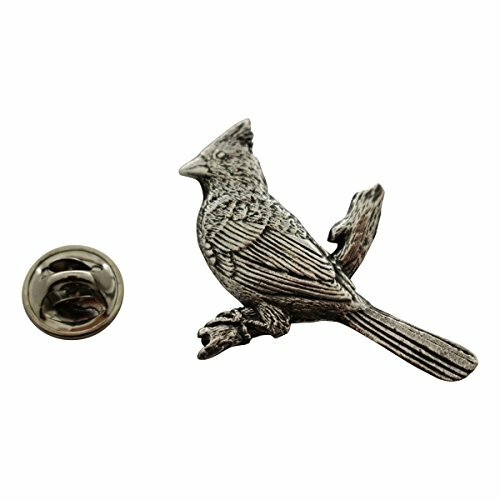 Take this Cardinal Pin and give it as a gift, wear it on your jacket, hat, tie, shirt, back pack or where ever you think it looks the best, since they look great everywhere every day you can take this wonderful work of art anywhere. Hand Sculpted by American Artists and then Hand Cast in Lead Free Fine Pewter by G.G. Harris, this Cardinal lapel pin really stands the true test of hand crafted and made in America. The Antiqued Pewter versions are first cast by hand in a detailed process then Antiqued to give a truly wonderful look. The Copper versions are electroplated in copper and then antiqued by hand to show every detail. The gold versions are electroplated in 24K Gold and then hand polished for a beautiful shine. Our Hand Painted items are painted by hand in a truly amazing and unique fashion and then coated in acrylic to ensure a forever shine and knick free wearable portrait. 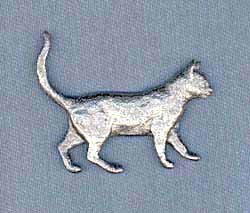 Take this Walking Cat Pin and give it as a gift, wear it on your jacket, hat, tie, shirt, back pack or where ever you think it looks the best, since they look great everywhere every day you can take this wonderful work of art anywhere. Hand Sculpted by American Artists and then Hand Cast in Lead Free Fine Pewter by G.G. 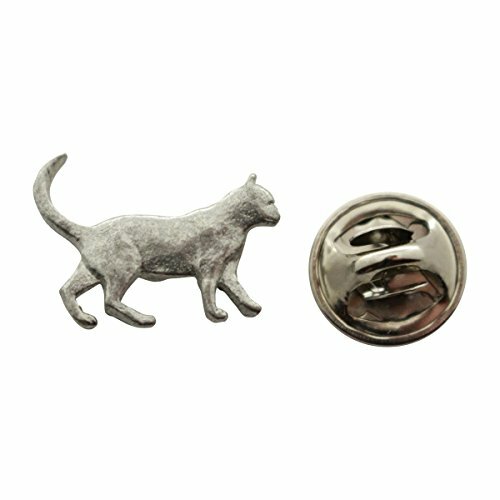 Harris, this Walking Cat lapel pin really stands the true test of hand crafted and made in America. The Antiqued Pewter versions are first cast by hand in a detailed process then Antiqued to give a truly wonderful look. The Copper versions are electroplated in copper and then antiqued by hand to show every detail. The gold versions are electroplated in 24K Gold and then hand polished for a beautiful shine. Our Hand Painted items are painted by hand in a truly amazing and unique fashion and then coated in acrylic to ensure a forever shine and knick free wearable portrait. 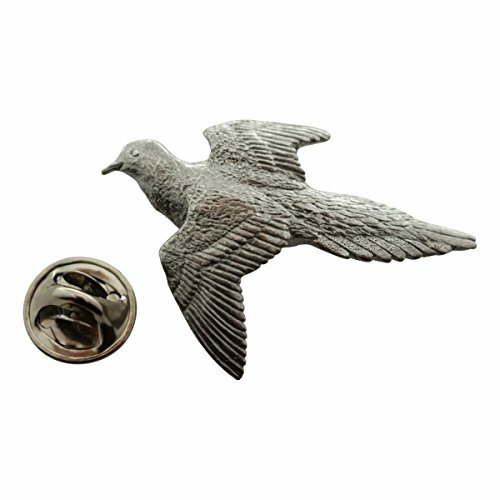 Take this Dove Pin and give it as a gift, wear it on your jacket, hat, tie, shirt, back pack or where ever you think it looks the best, since they look great everywhere every day you can take this wonderful work of art anywhere. Hand Sculpted by American Artists and then Hand Cast in Lead Free Fine Pewter by G.G. Harris, this Dove lapel pin really stands the true test of hand crafted and made in America. The Antiqued Pewter versions are first cast by hand in a detailed process then Antiqued to give a truly wonderful look. The Copper versions are electroplated in copper and then antiqued by hand to show every detail. The gold versions are electroplated in 24K Gold and then hand polished for a beautiful shine. Our Hand Painted items are painted by hand in a truly amazing and unique fashion and then coated in acrylic to ensure a forever shine and knick free wearable portrait. 21% of pet owners admit to occasionally dressing up their pets, and 79% of owners give their pets presents for birthdays and holidays. Handcast in solid, lead-free pewter, each of our pins is an original three dimensional sculpture signed by the artist, Jim Clift. Individually packaged on one of our signature presentation cards, our pins arrive ready for gift giving! Handcrafted in our studio in Coventry, RI, our pins are 100% US made. 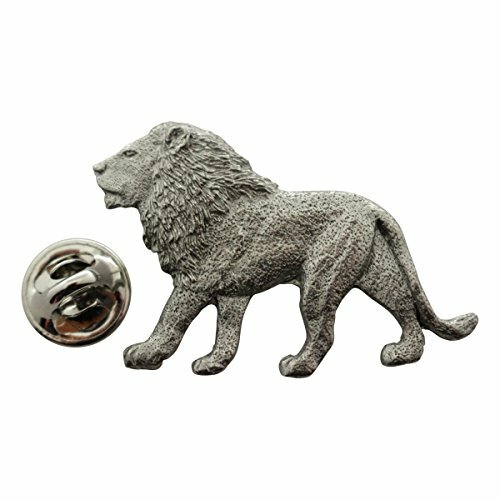 Take this Lion Pin and give it as a gift, wear it on your jacket, hat, tie, shirt, back pack or where ever you think it looks the best, since they look great everywhere every day you can take this wonderful work of art anywhere. Hand Sculpted by American Artists and then Hand Cast in Lead Free Fine Pewter by G.G. Harris, this Lion lapel pin really stands the true test of hand crafted and made in America. The Antiqued Pewter versions are first cast by hand in a detailed process then Antiqued to give a truly wonderful look. The Copper versions are electroplated in copper and then antiqued by hand to show every detail. The gold versions are electroplated in 24K Gold and then hand polished for a beautiful shine. Our Hand Painted items are painted by hand in a truly amazing and unique fashion and then coated in acrylic to ensure a forever shine and knick free wearable portrait. 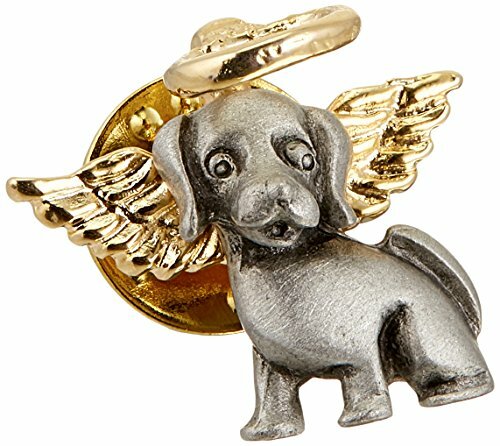 Custom Lapel Pin Plating Options. 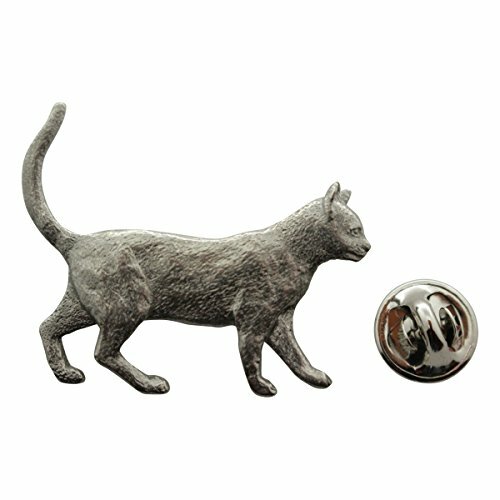 Compare prices on Pewter Cat Lapel Pins at ShopPlanetUp.com – use promo codes and coupons for best offers and deals. We work hard to get you amazing deals and collect all available offers online and represent it in one place for the customers. Now our visitors can leverage benefits of big brands and heavy discounts available for that day and for famous brands.